LANDMARK REALTY OF GEORGIA INC. Welcome to the home sellers section for Chatsworth, Dalton, Cohutta, Varnell, Rocky Face, Ringgold, and NWGA areas. Please use the following valuable sellers resources. Why List with LANDMARK REALTY? Sellers, it is extremely important to have a Realtor that is skilled and experienced. A Realtor that will look out for your best interest, and fight for every dollar that you deserve. A Realtor that takes pride in their work, and is up to date with the current market. A Realtor Team that advertises properly and has a network of buyers, realtors, and contractors. We are that Realtor. We are motivated Realtors that always goes the extra mile to get our sellers the best result possible. 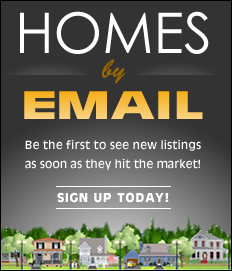 Our advertising is superb and has built us a pipeline of buyers waiting to buy your home. Our networking has a far reach, and I work tirelessly on your behalf to make sure of a quick sale. Our reputation as Realtors is of the up-most importance to me. I am known as an outgoing, fun, honest, fair, and hardworking realtor that is there for my clients every step of the way. This assures a smooth, easy, and pleasant transaction from the beginning to end of the home selling process. © 2017 Dalton MLS All rights reserved. Information deemed to be reliable but not guaranteed. The data relating to real estate for sale on this website comes in part from the Broker Reciprocitysm Program. Real estate listings held by brokerage firms other than Landmark Realty of Georgia are marked with the BR logo and detailed information about them includes the name of the listing brokers. Listing broker has attempted to offer accurate data, but buyers are advised to confirm all items. Information last updated on 2017-09-07.